Something happened to this episode – earlier this week, the production team decided to split it into two. So while this week’s was supposed to be called “Full Circle,” instead it was called “Gladiators Don’t Run,” and next week’s will be called “No More Blood.” This is the second time this season that an episode has been split in half. I don’t really understand how they have so much extra material that there is enough to make two episodes – they shouldn’t be filming so much that there is so much extra! And the cast and crew call the episodes by their original numbers – so according to them, this week is 4.11 and next week is 4.11 B – while the network and the reviewers call the episodes by the order they aired – this week being the 12th of the season and next week being the 13th. Talk about confusing. While the cast was tweeting last night, a few cast members noted that they’d just filmed scenes from this episode a few days ago, and Shonda Rhimes said she was currently editing next week’s episode. Seems a little last minute! So Kerry Washington said she was filming something intense and I thought I’d make a joke about the production being behind – I don’t think she got it though. 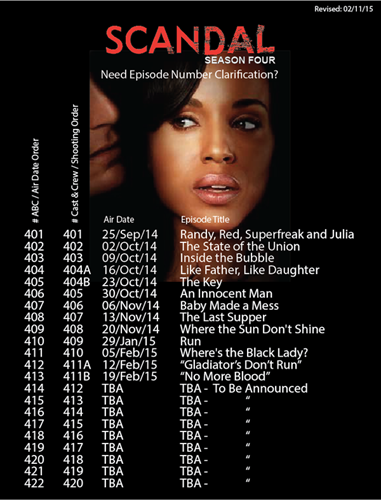 4.14 will actually be the 16th of the season. Anyway, this episode was so-so for me. There was at least one surprising moment, there were a few funny lines, and Kerry Washington looked beautiful, as always. Even with blood splattered on her face. Apparently, the kidnappers put Olivia Pope up for auction on something called the dark web – on a site you could only access if you are invited. So somehow they chose who to invite to bid on the President’s mistress. Maybe they called her a United States asset, someone who could share US secrets, rather than sharing her connection to the President, but I’m confused because isn’t her relationship with Fitz supposed to be a secret? Now the CIA is involved and all these other countries are bidding on her and it’s just a little strange for me. Also, OPA decides not to work with the White House and instead to try to access the auction themselves and it took them most of the episode just to get into the site in the first place – with some help from Olivia’s mother and Huck chopping up some bodies. However, once OPA finally gets into the auction site and places their bid, it’s too late because the kidnappers decided to go with Iran, who offered to pay them outside of the auction. The CIA wants to eliminate Olivia to make sure no US secrets can be told, but Fitz refuses. Fitz is already feeling awful about the people who died in the war he declared in order to save Olivia’s life. 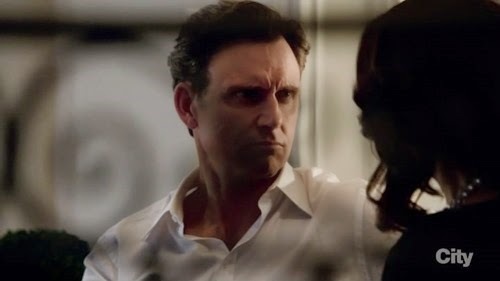 Therefore, he says he needs to get Olivia back so that the deaths won’t be for nothing. In other news, Abby finally figured out something was wrong with Olivia and when no one else would tell her what happened, Fitz tells her. 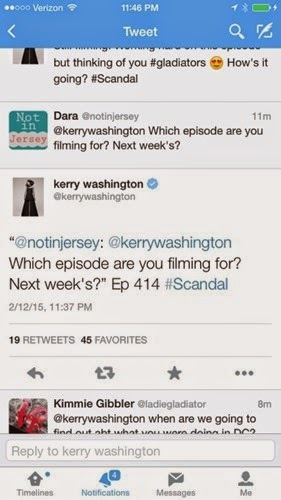 Fitz also has a conversation with Mellie in which she asks him what he wants most in the world. After he says the first thing he wants is to have his son back alive, he says he wants Olivia home safe. Then Mellie says her ultimate want is to become President. But with the Vice President’s threat to reveal their affair if they prosecute him for his coup against the President, Mellie feels that her chance for becoming President would be ruined. So Fitz agrees to let the VP off the hook. Seriously? I hope that the benefit of splitting this episode in half was to add more content to next week’s episode, in which we find out who bought Olivia and how she gets rescued! I also wonder if the story will still come full circle, even though that isn’t the title anymore. 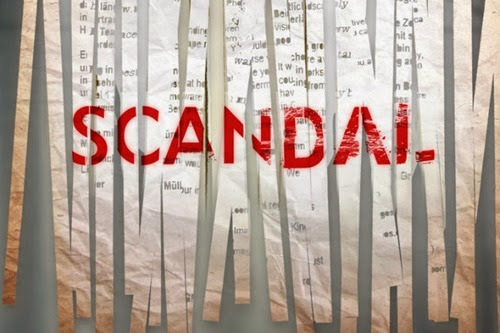 Weigh in if you watch Scandal!